Urbicande.be was a website providing an interactive webfiction, based on the series Les Cités Obscures by the authors François Schuiten & Benoît Peeters, and was developed by the authors and the companies Editions Casterman, Commediastra & Magic Square. Urbicande.be was the offical Internet site of Schuiten and Peeters. You might have been redirected here from www.urbicande.be. 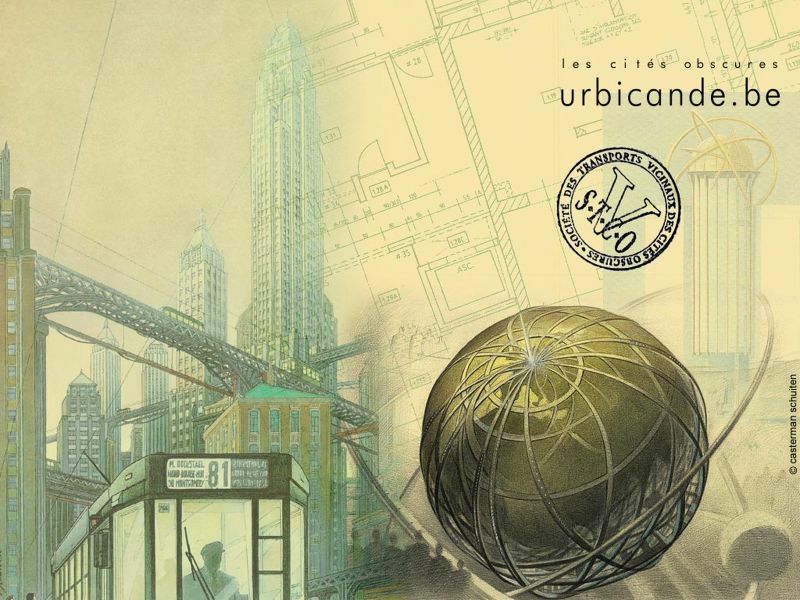 The urbicande.be website does not exist any longer, but you have landed on another fine resource about François Schuiten, Benoît Peeters and their Les Cités Obscures. The first version of urbicande.be was launched in December 1995. The website was a great success for many years. But the website was not updated anymore since 2011. In May 2015 the website was stopped and archived at altaplana.be. An extensive dossier about the history of urbicande.be can he found in the dossier section.